Warning – there is nothing in this post having remotely to do with motorcycles. Being a motorcycle blog I feel the disclaimer is in order. 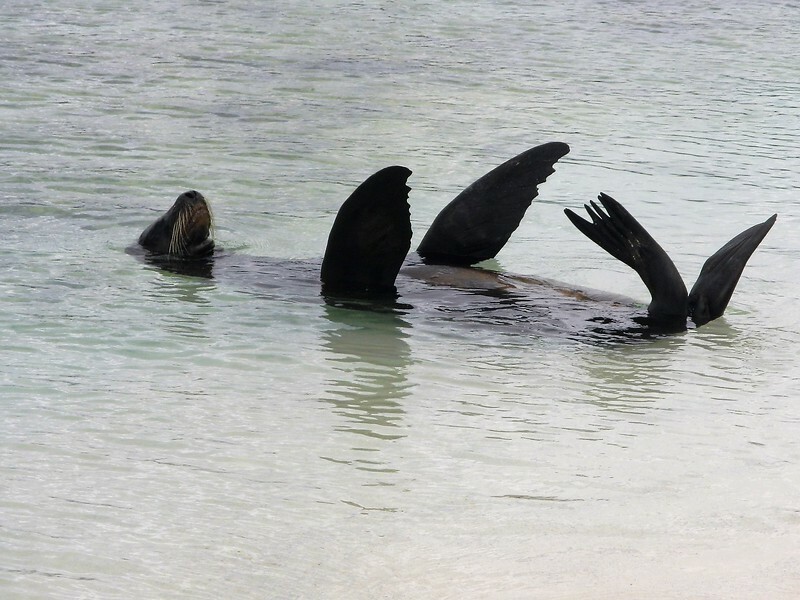 However, if you are interested in seeing some amazing wildlife, me being attacked by a Sea Lion, the Albatross mating dance, boobies (yes.. boobies) or me swimming with a shark…. read on. Ok, where to start and how to tell the story…. I don’t know for sure but instead of “day one… blah blah blah, day two, blah blah ….” Let’s just jump in, look at pictures and who really cares about the details right? 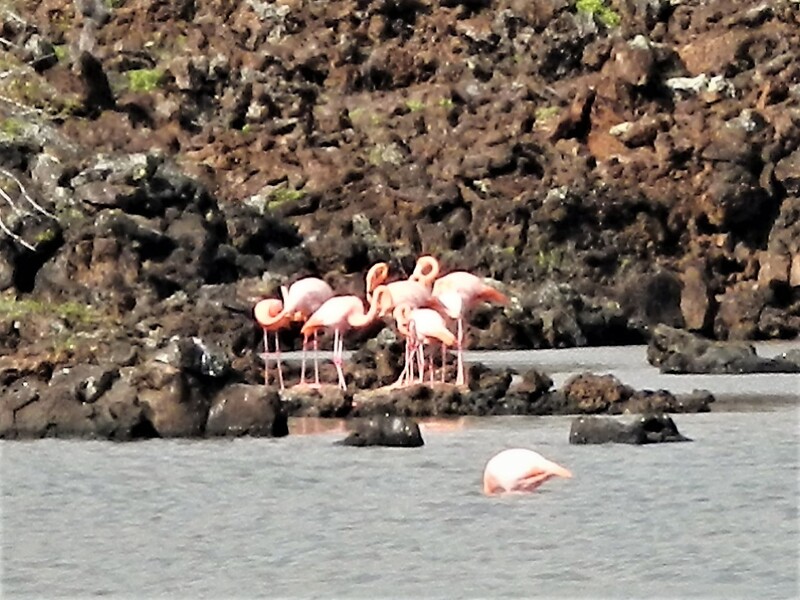 Suffice to say we spent 5 days and 4 nights on a 18 meter boat with 17 other people plus crew and guides island hopping in the Galapagos. 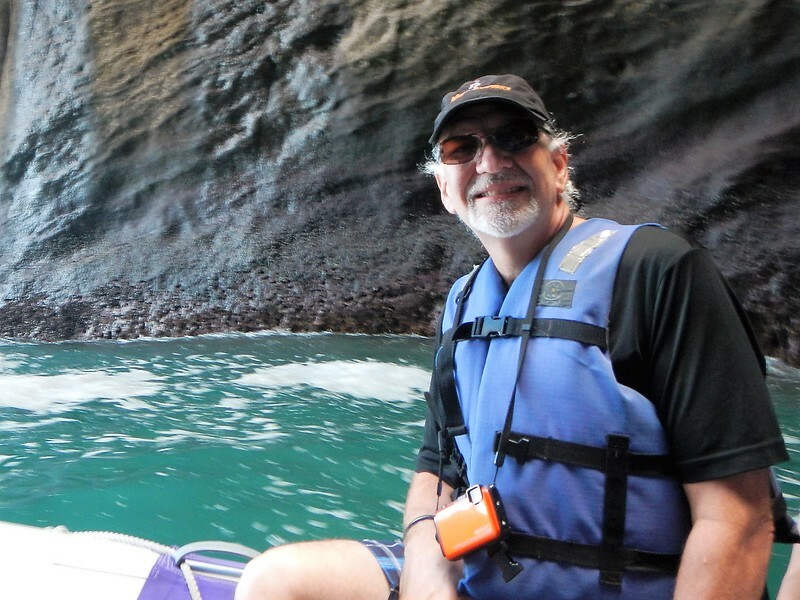 Scroll to the end of the post of you want details about the boat or tour company… they were great. That is a White Tipped Shark. Here is a short clip where I thought he was coming after me! 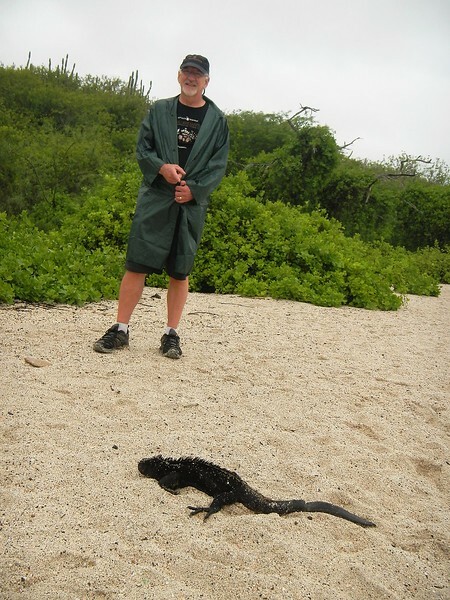 We snorkeled every day and saw amazing things. 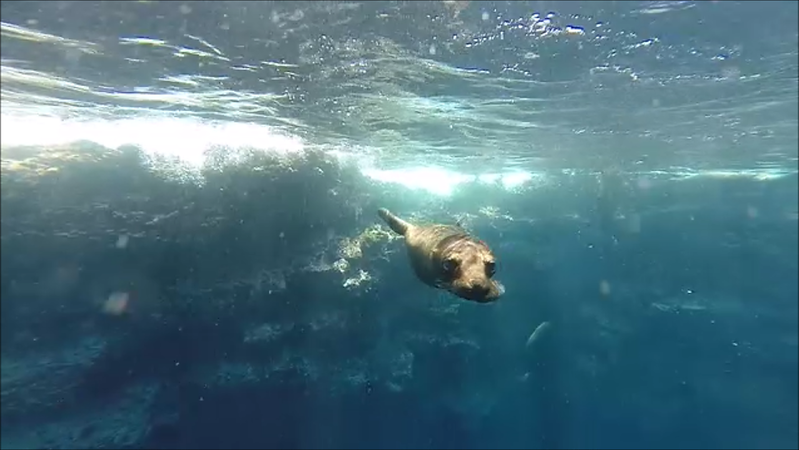 Sea Lions were everywhere and they liked to play under water. Curious little buggers.. 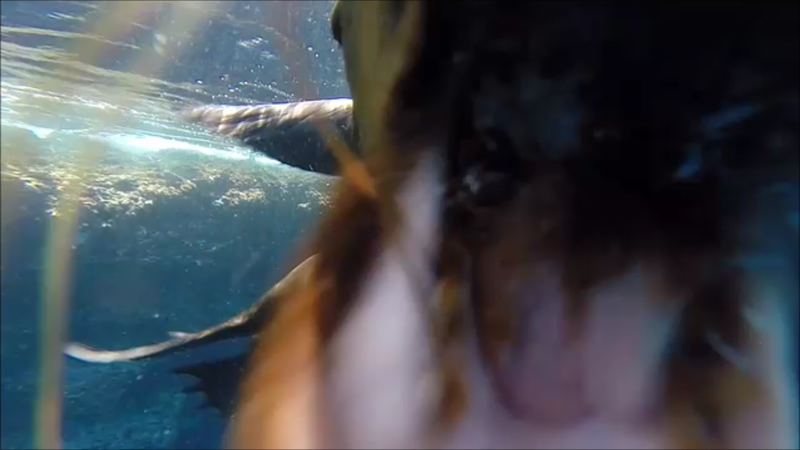 Ever wonder what the inside of a sea lion’s mouth looks like? Here it is. Here is a short video of when he thought my camera was a free lunch. How about this guy, he looks pretty happy. 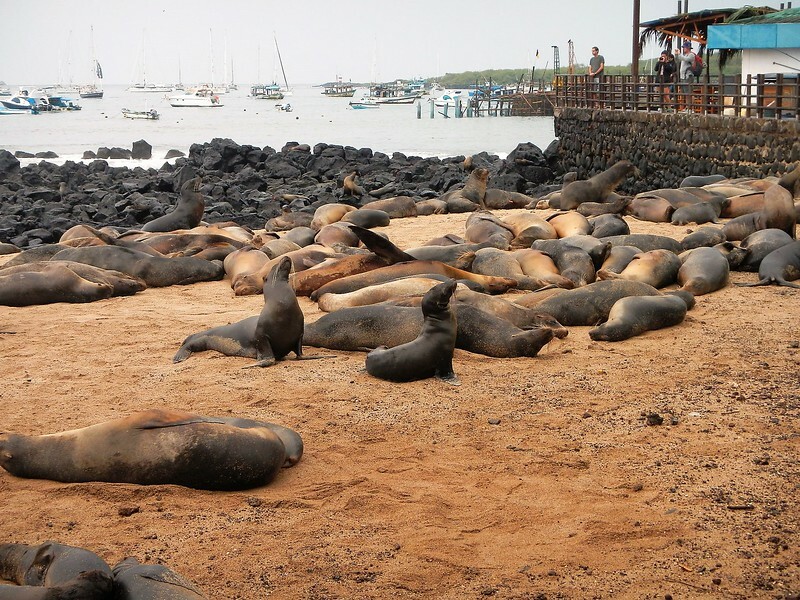 The thing about the Galapagos Islands is that the wildlife has never learned to be afraid of humans. 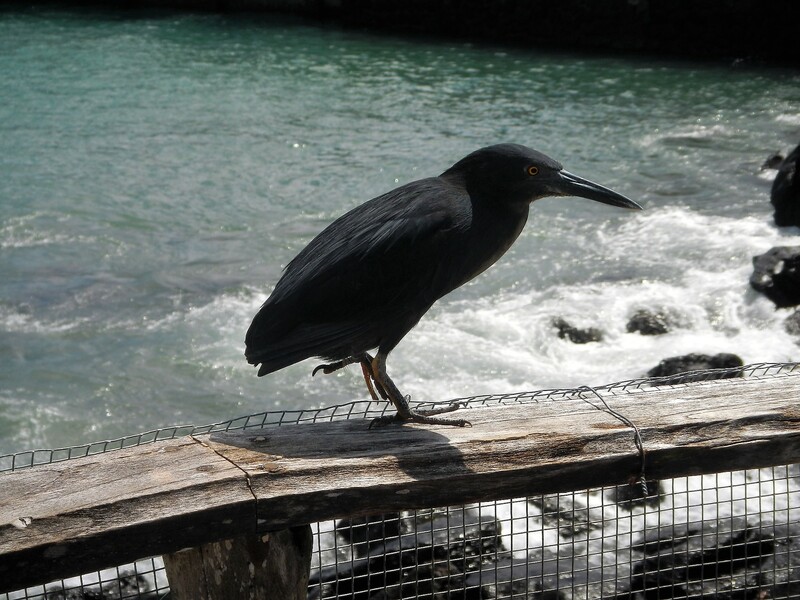 The birds, reptiles and mammals just pretty much ignored us as we walked around the island. 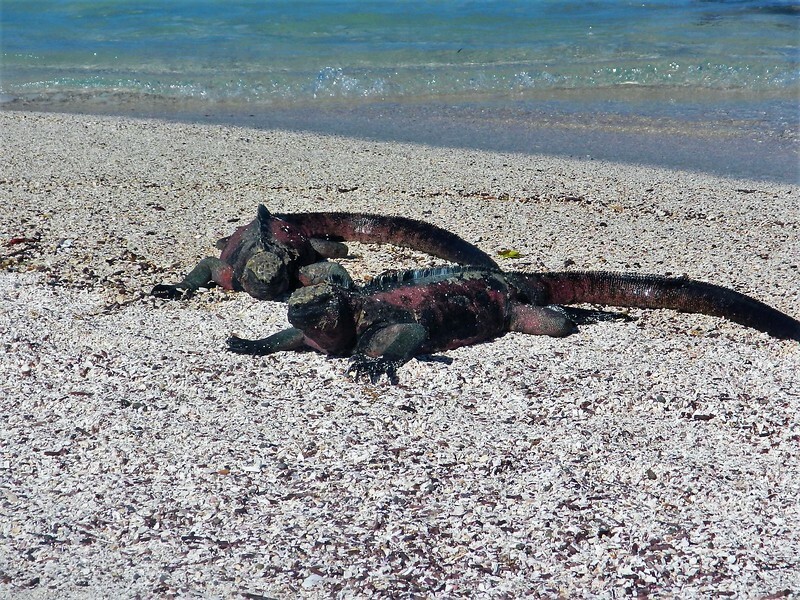 Indeed, many times we had to be careful not to trip over baby sea lions or step on iguanas. Even the birds would just stand next to us. These guys were everywhere and not a bit afraid of us, they would even come over to say hello and give us a sniff. 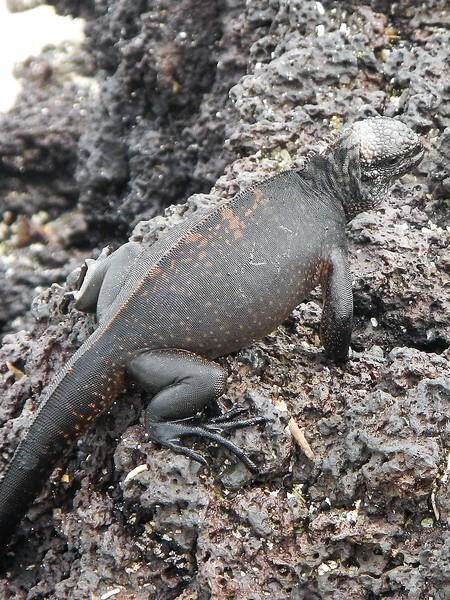 Moving on to reptiles, there were iguanas everywhere and a number of varieties. We had two guides who were full of facts and told us all the names. I’ll list the names I remember but the rest of the names will be left as an exercise to the reader to identify. This guy was protecting the off limits area. 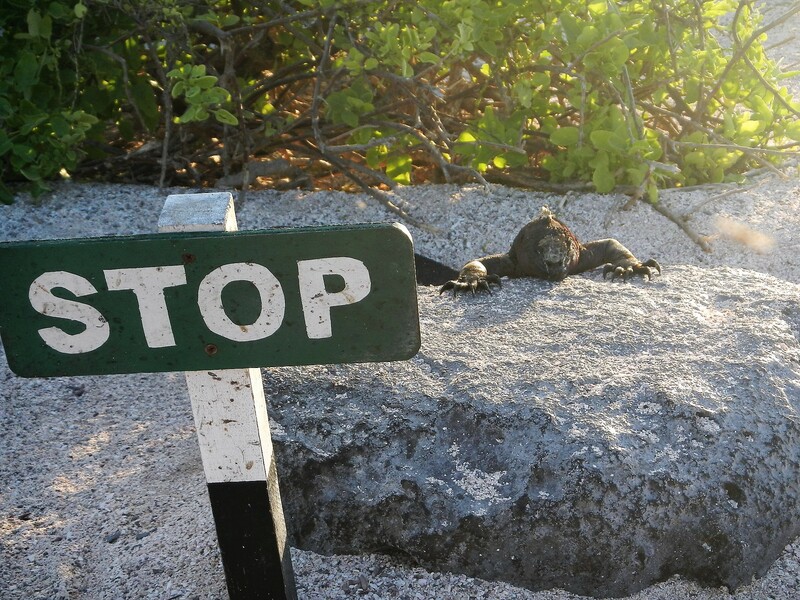 Ok, last iguana picture, but this was a cute guy. 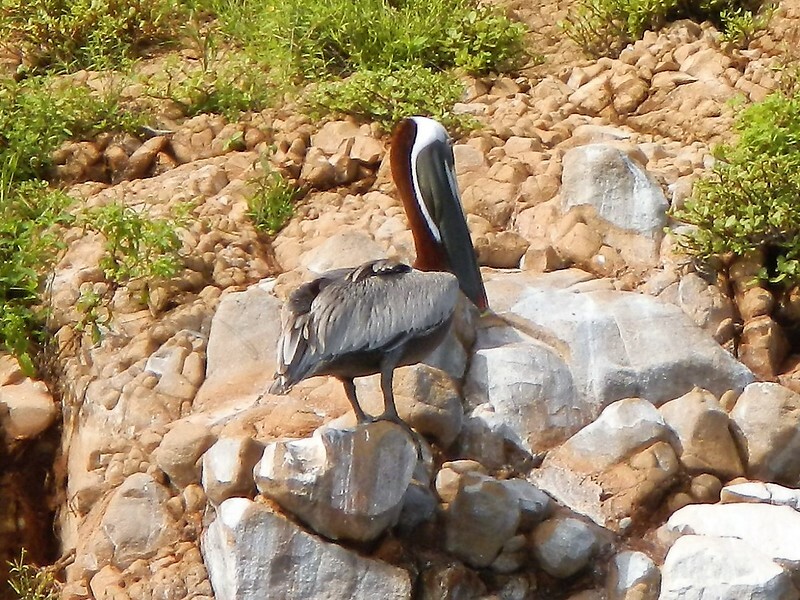 Ok, on to birds and boobies! 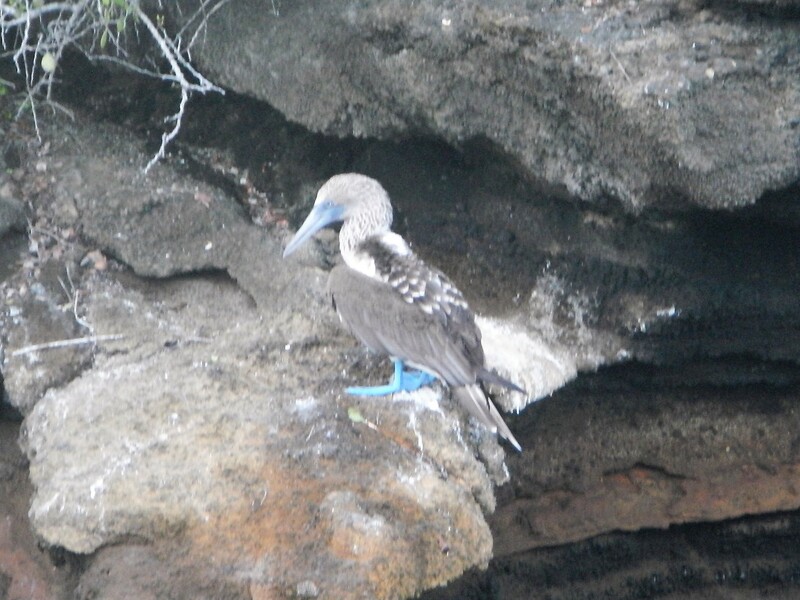 These were our favorite… the Blue Footed Boobie. The blue on the feet was incredible. It was hard to get good pictures of these guys since there was not very many hanging around. 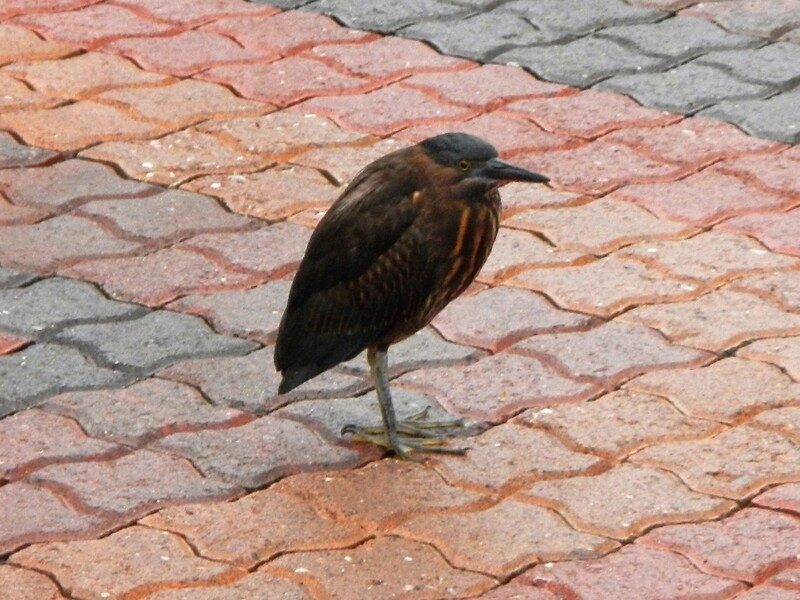 And there were other birds as we walked around town waiting for our boat. They just sit there waiting to be photographed. It’s really strange, who needs a zoom lens? We walked up to this one on a railing. 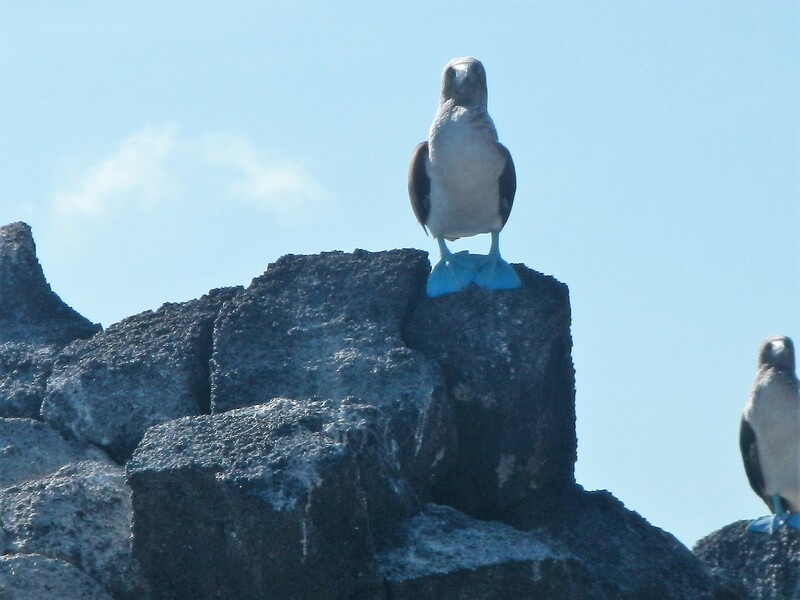 Here’s one, blue eyes – red feet. This guy was sitting in the road. 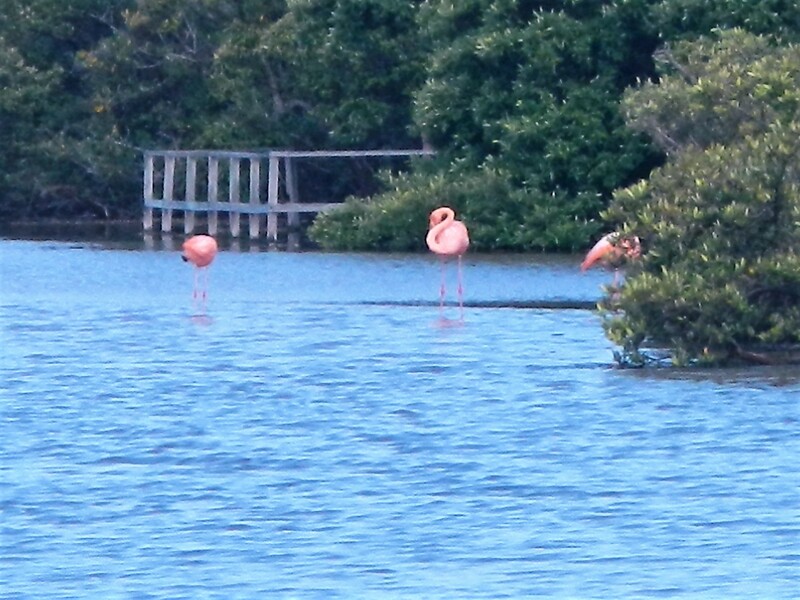 Oh, how about pink flamingos? They have those too. 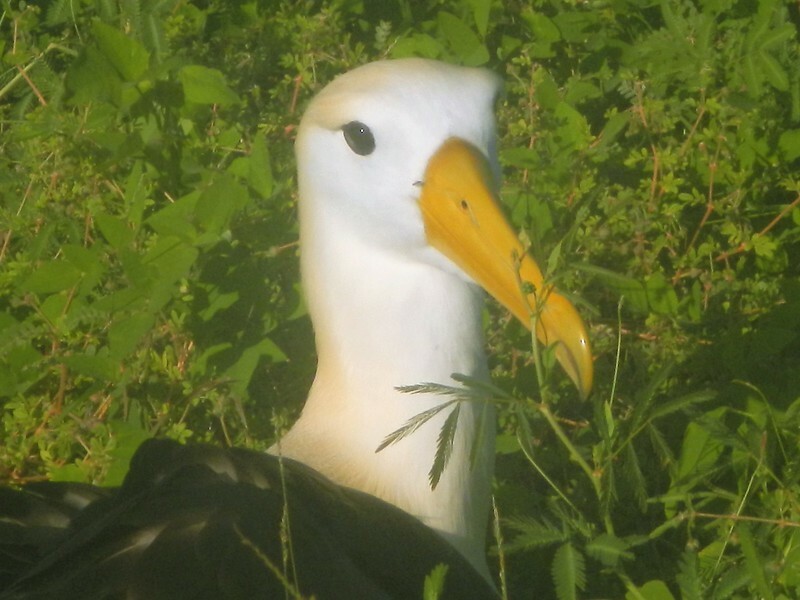 But in the bird category the Albatross was the star of the show. 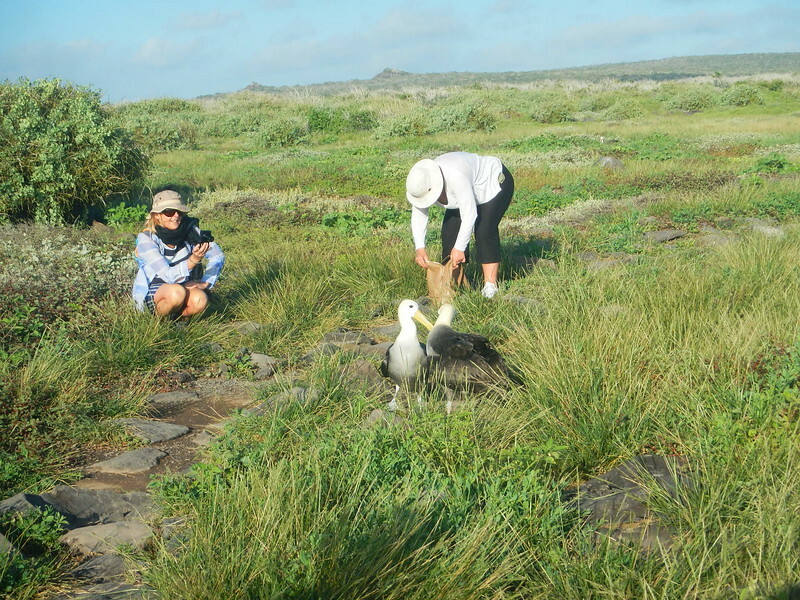 It was mating season and we were lucky enough to visit a breeding area where these big birds do their dance to attract a mate. Here are some bits of it. 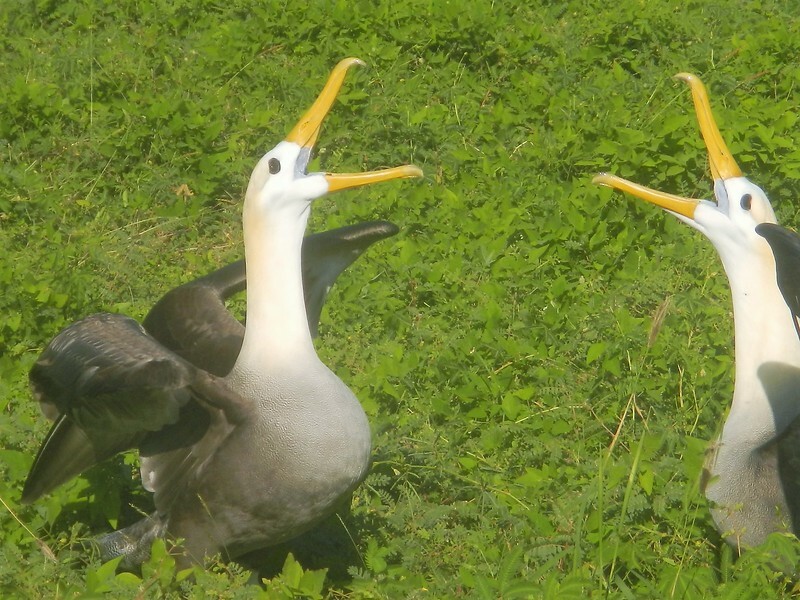 The male (left) does this funny leaning thing that is supposed to be attractive. They don’t even care who’s watching. We are supposed to stay 6 feet away but then also stay on the trail. That was impossible when they were doing the mating dance right next to the trail. I even managed a short video. 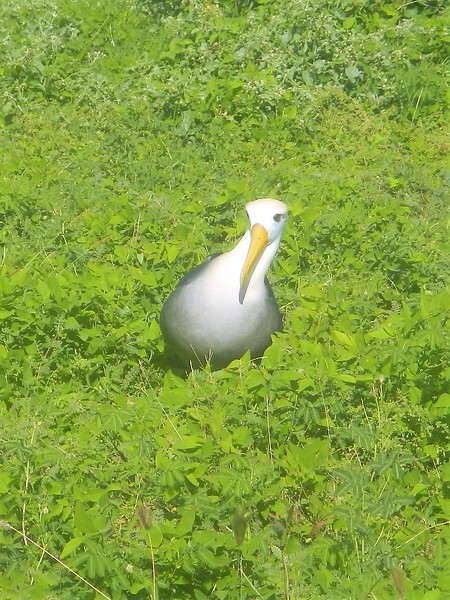 Easy to get good close up shots with our inexpensive cameras. I even managed a good shot of one flying. 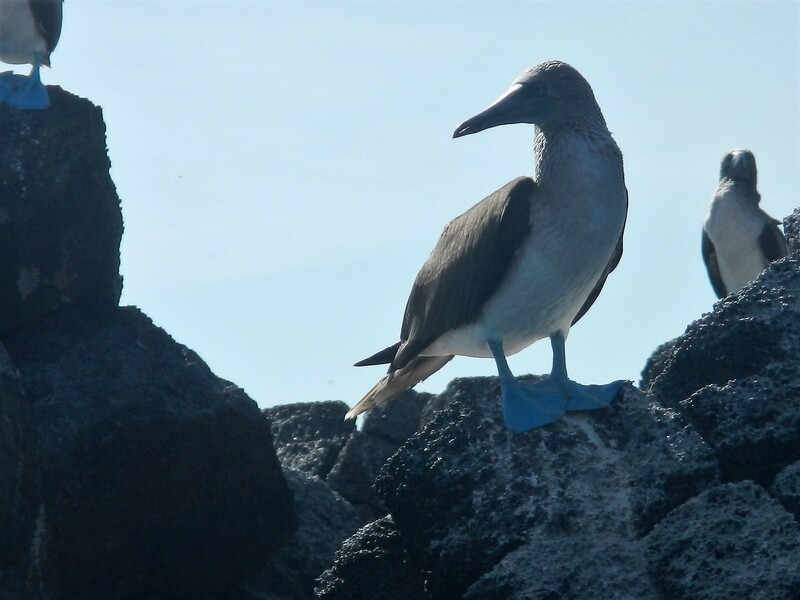 An amazing bird that mates for life and spends months at sea never landing. 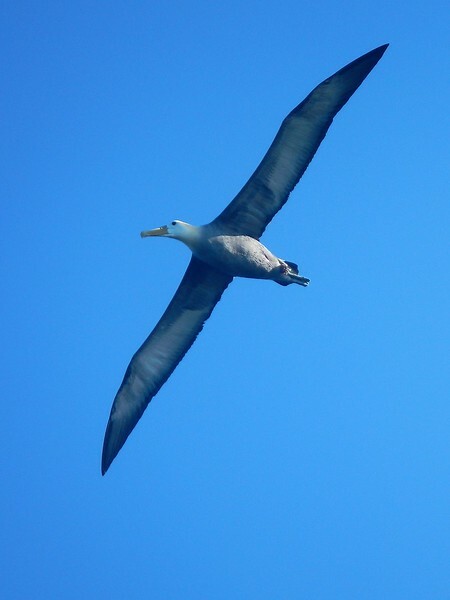 One of the largest wingspans, up to 12 feet according to Wikipedia. 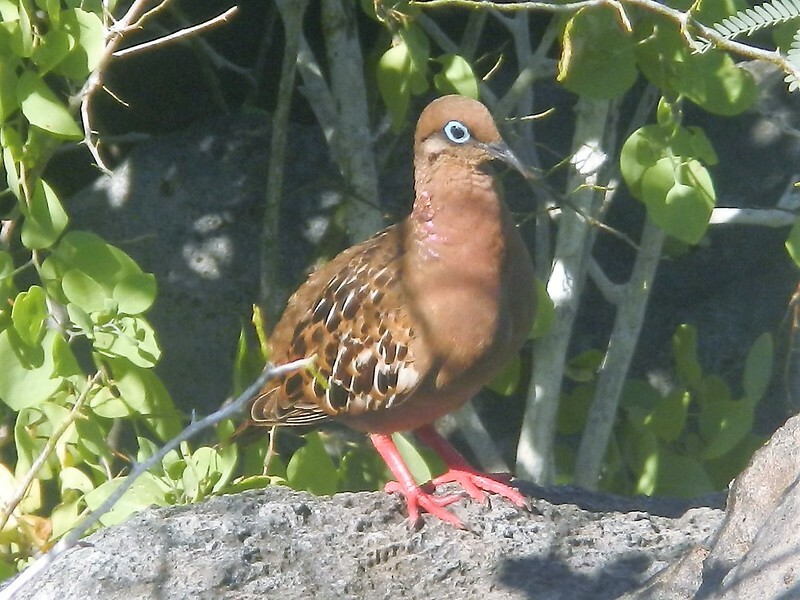 I highly recommend reading more about this fascinating bird HERE. 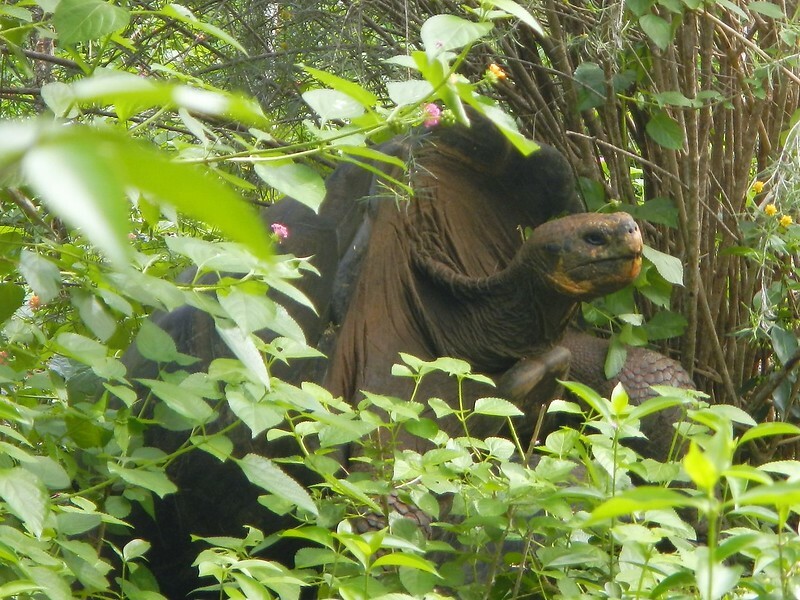 Ok, how about back to reptiles, how about the Galapagos giant tortoise. 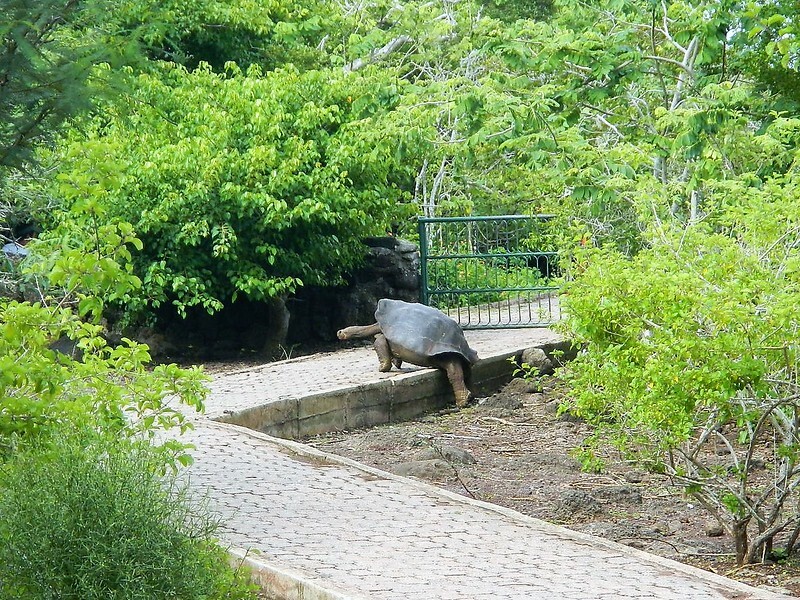 The Galápagos tortoise complex or Galápagos giant tortoise complex (Chelonoidis nigra) are the largest living species of tortoise. 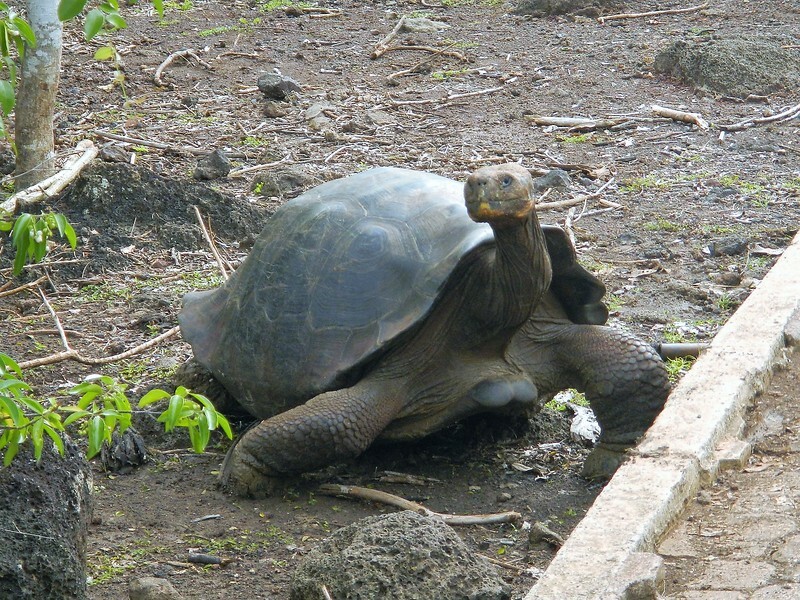 Modern Galápagos tortoises can weigh up to 417 kg (919 lb). Today, giant tortoises exist only on two remote archipelagos: the Galápagos 1000 km due west of Ecuador, and Aldabra in the Indian Ocean, 700 km east of Tanzania. These guys were not just wandering around so we had to visit a park where they are protected and trying to increase the population. That gate below is the entrance to the park you see on the right in the above picture. These guys aren’t shy. 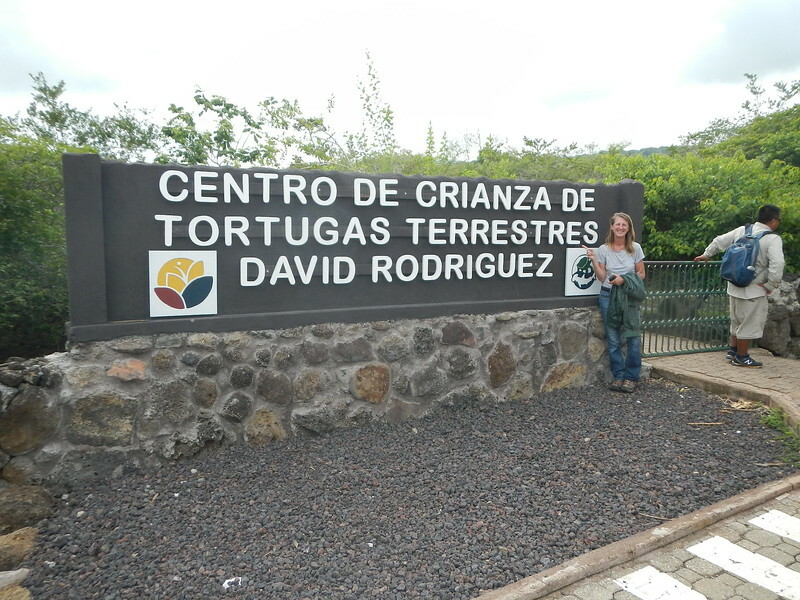 It’s hard to tell in this picture but there is actually two giant tortoises in the picture below. 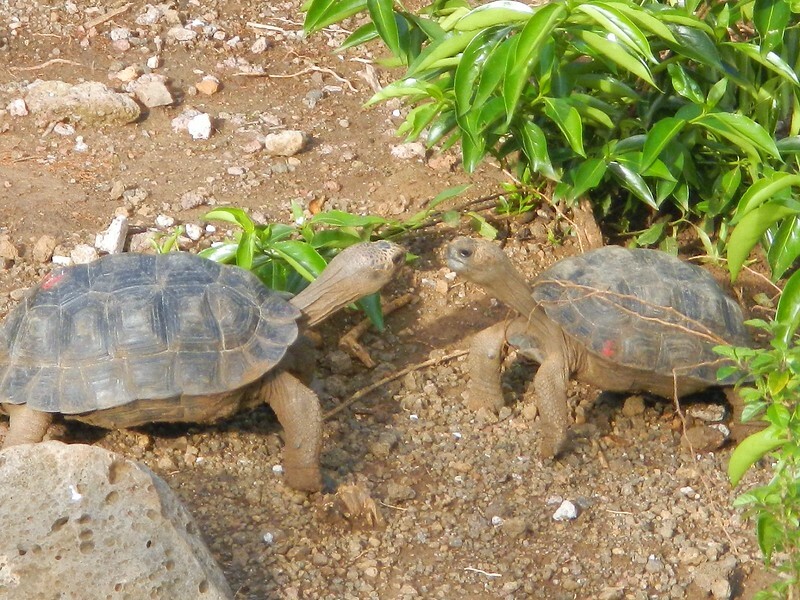 One on top of the other, doing what tortoises do naturally every spring. Our guide told us they go on for up to two hours eliciting under the breath comments from most people on the tour. Oh, there was plenty of grunting and groaning to go along with it. We took pictures for a while and decided to move on. But if all goes well you get a few of these cute guys. 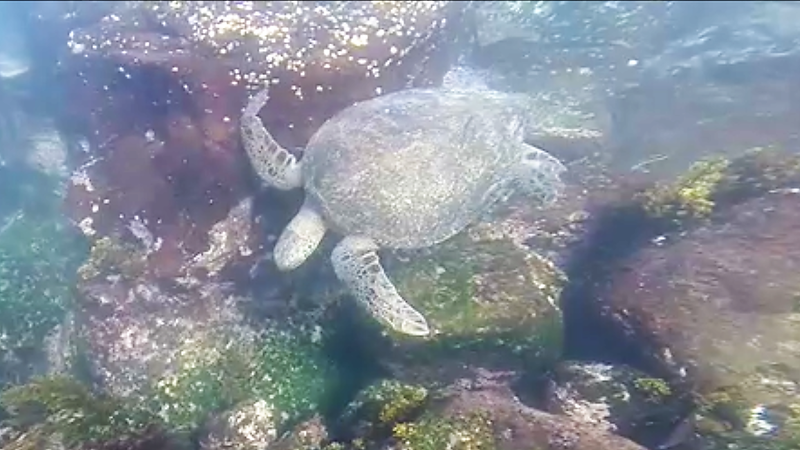 Later that day we snorkeled and saw the Galápagos green turtle friendly guys that didn’t mind us swimming around them. 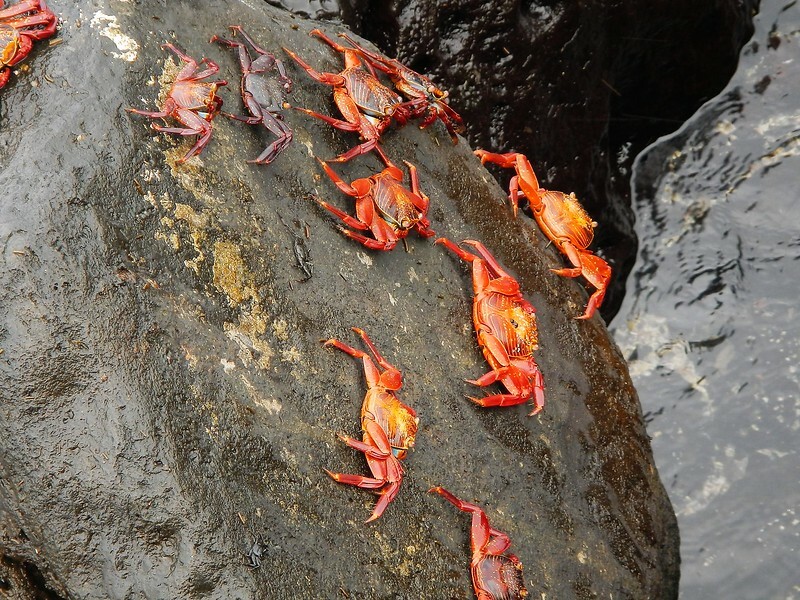 So what else… how about these red crabs, we saw hundreds crawling on the black rocks. Finally, probably the most dangerous animal of all…. the biped humanoid. 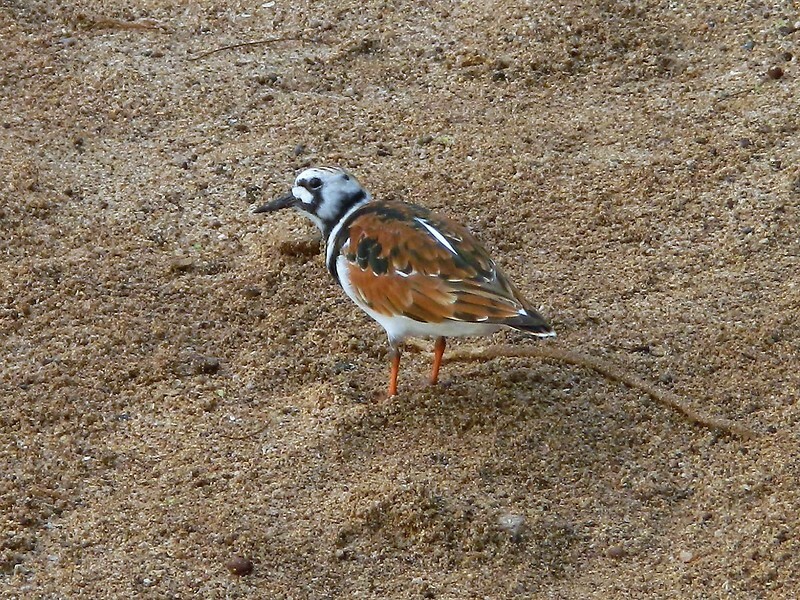 We saw lots of those as well. Well, this one doesn’t look too scary. 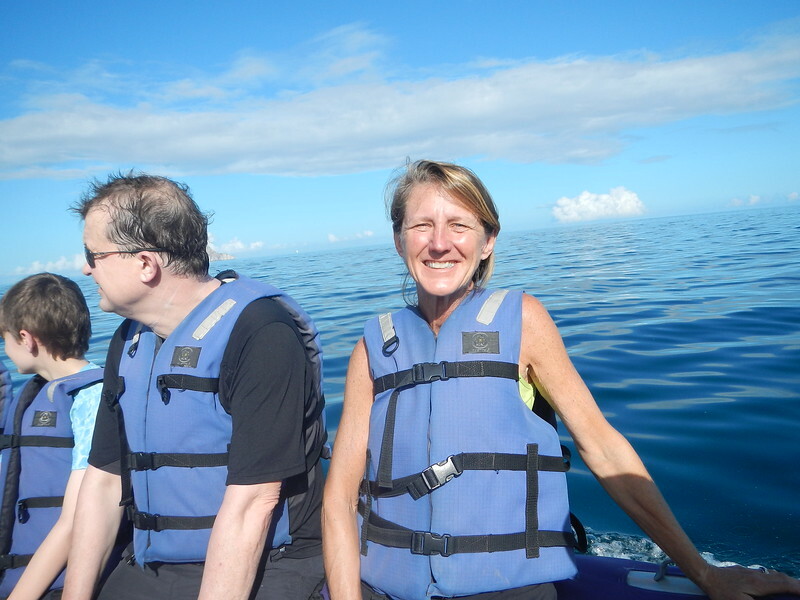 We spent lots of time on the Zodiac going from the big boat to various excursions. Here was our boat for 5 days, the Mossarrat. 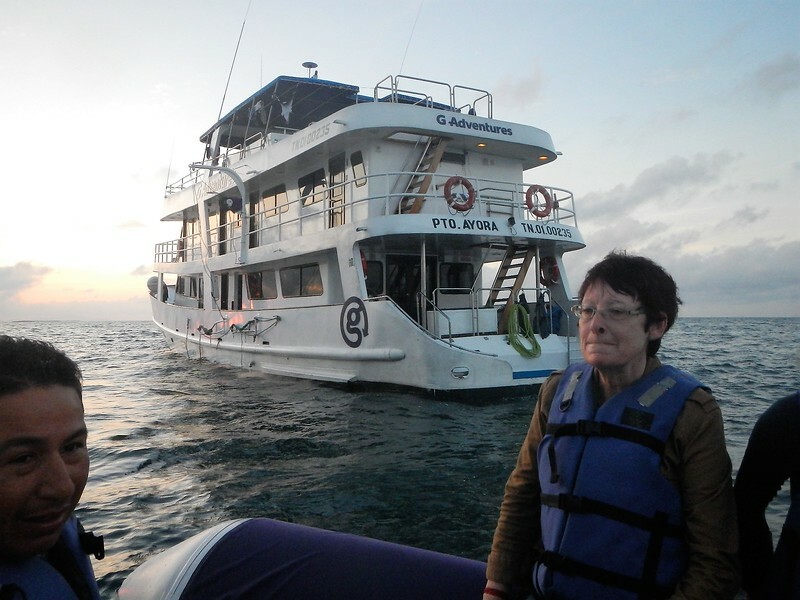 Click here for more about G-Adventures and the Monserrat. We had 19 people plus crew on the vessel. It was about the right size of a group. 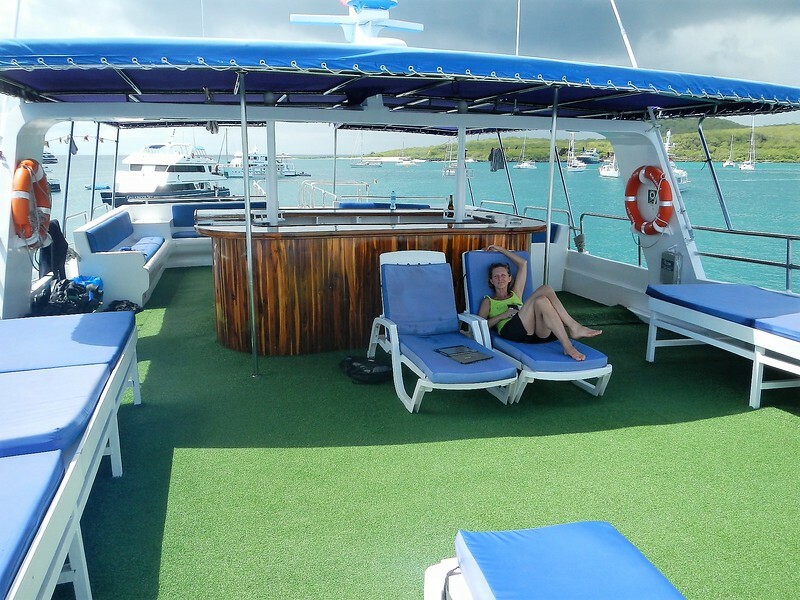 The 18 meter boat did rock some and a few people were a little seasick but we soon got our sea legs and did fine. 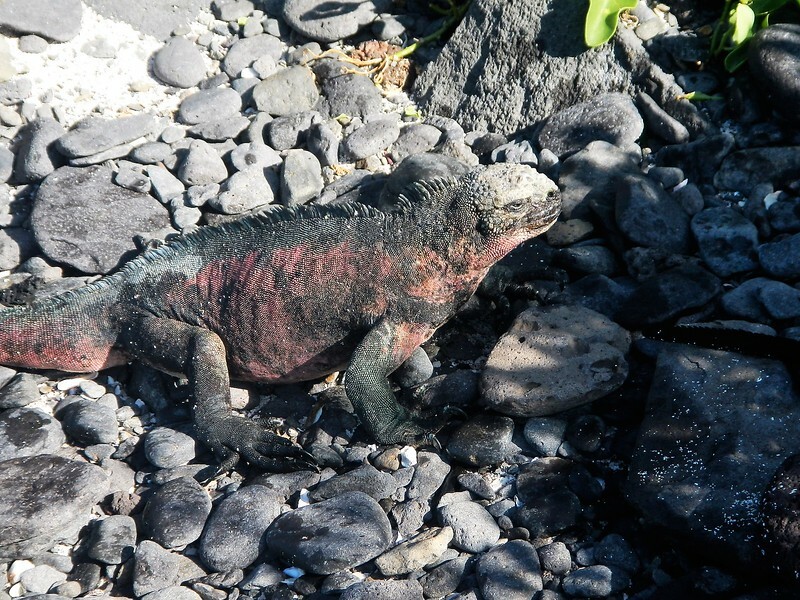 The Galapagos was an amazing place and we are lucky we were able to manage the logistics to visit. Next we will be back on the bikes and heading north to Colombia. I’m sure more adventure awaits. I’ve been waiting for an update and am so happy to see some of what you experienced there ! It must have been incredible….and what a way to see it! 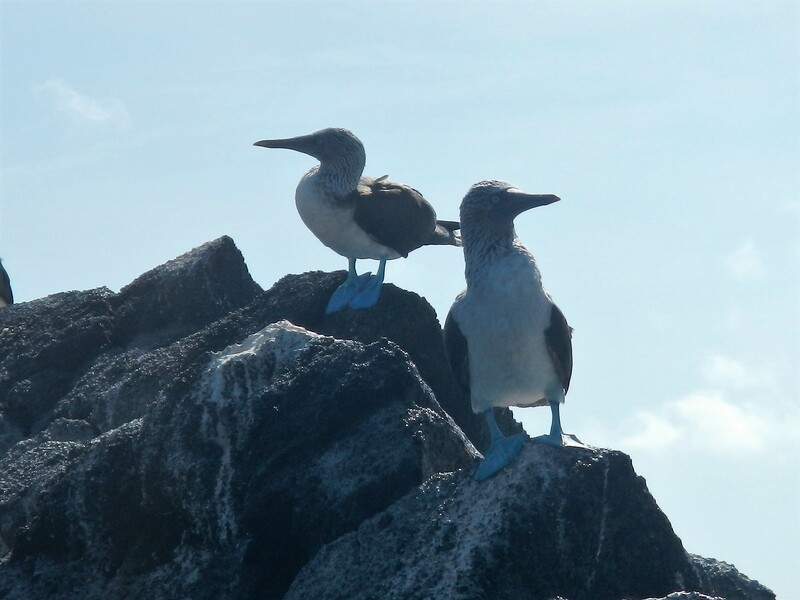 I remember seeing pictures of the Blue-footed Booby in my bird book when I started birding in the early 80’s and thinking that name was hilarious….and here you guys are , actually seeing them ! 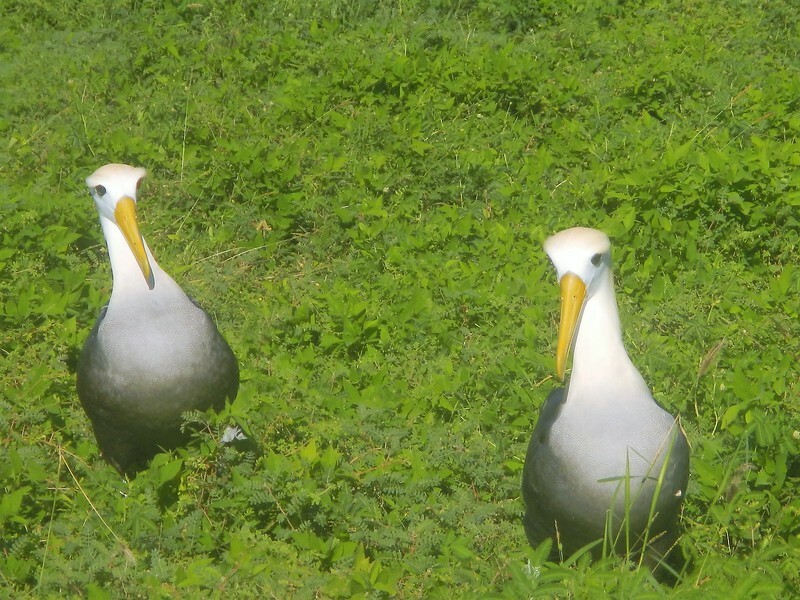 And the albatrosses ….so amazing !! Wow! I would’ve loved to have seen all those differnt a spieces of birds ! What Carrie said. 🙂 What a great experience! Another one! Thanks for sharing pics, write up, the whole deal. Great treat for me to see a post arrived in my inbox. Good stuff, thank you. Wow! Amazing pics of an amazing time! Glad you get some well deserved relaxation after all your not-so-relaxing adventures!! Just amazing!!! what a fantastic experience! So happy to see a glimpse through your eyes and lenses! How awesome. 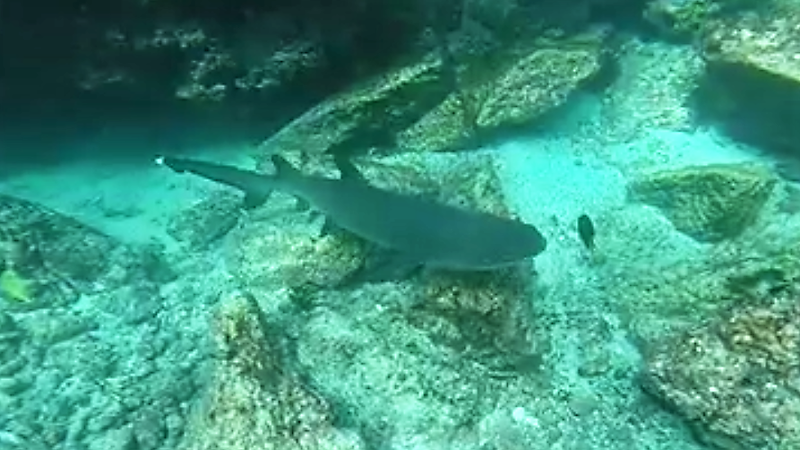 I love the underwater videos and great photos. 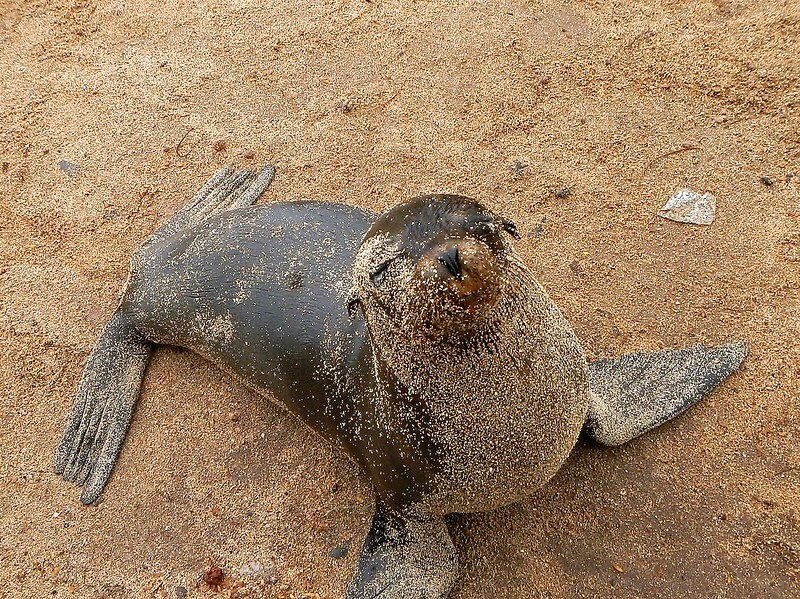 I looked at the pictures again on my big screen laptop, love the sea lion video LOL! 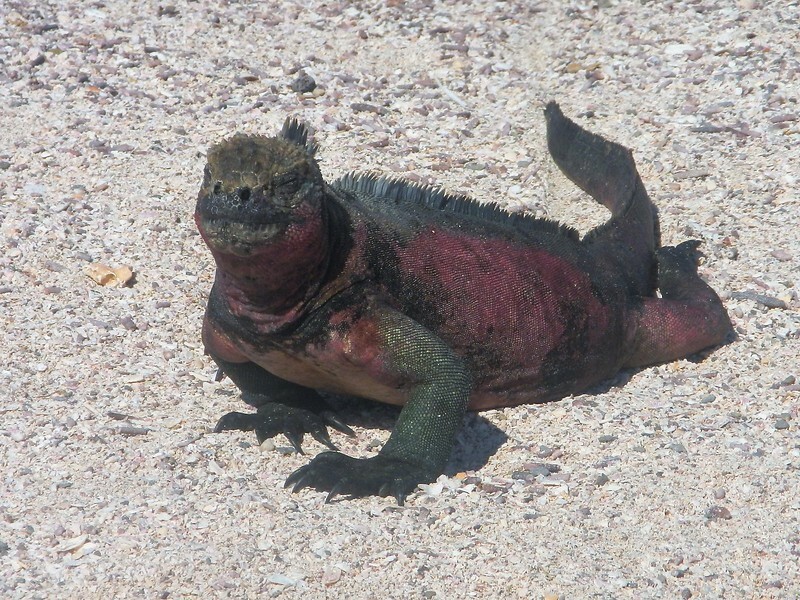 Those big turtles are impressive and I have always loved Iguanas! I’m so glad you were able to do this tour on short notice! Enjoy and be safe on the journey ahead!